Rayon fabric tends to shrink when not cared for properly. It may shrink from being washed in hot water in a washing machine or dried in a dryer. Rayon fabric keeps its shape, size and color when it is either hand-washed or dry-cleaned, although this depends on the fabric, since some may be machine-washed in cold water. 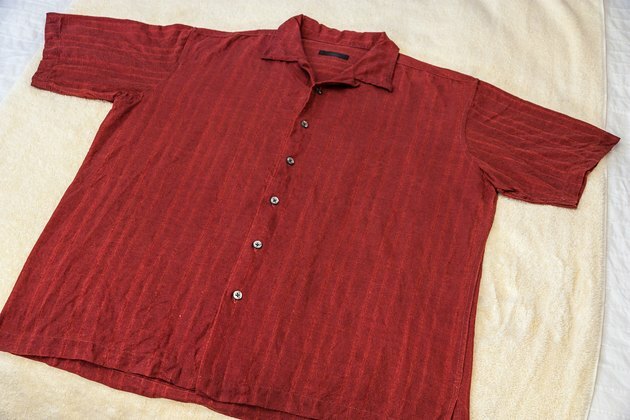 Before throwing out that shrunken piece of rayon clothing, try these tips to get it back in its shape. Add 1 tbsp. baby shampoo or hair conditioner to 1 qt. water in a large bowl or basin. According to "Real Simple" magazine, this solution helps relax the fibers of the shrunken rayon fabric, as well as of other fabrics as well. 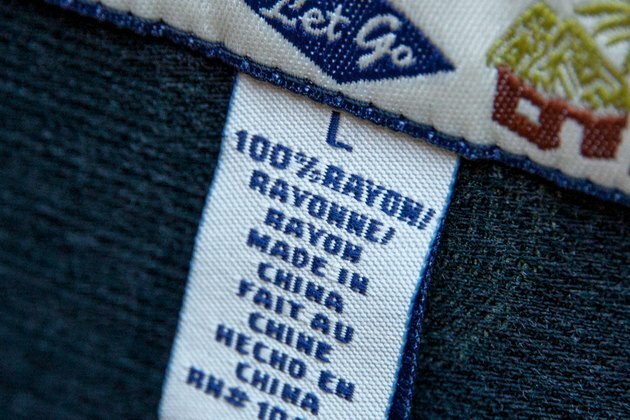 Rayon, being a synthetic fiber, is harder to stretch than cotton or wool, which have looser weaves. 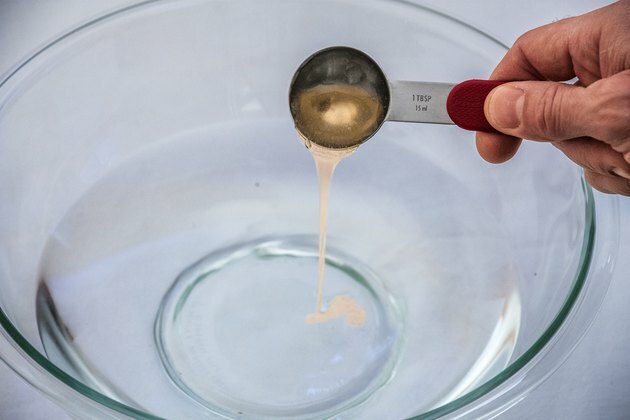 Place the shrunken rayon garment in the bowl of water and let it soak for a few minutes. Then remove the item from the water and gently squeeze out excess water. Stretch out the rayon fabric back to its original shape and size. If it is too stiff, use a steamer or the steam from an iron to make it softer and easier to stretch. Lay it flat on a clean towel or hang on a line or hanger to dry. Stretch it while it's drying to make sure it stays that way. You may need to secure the edges using clothespins or heavy objects. Another option is to trace an outline of the garment's original shape on a piece of parchment paper or cardboard. Then, stretch the garment so it fits the outline, lay it on the paper and secure the edges with heavy objects so it stays in place. Steam the item once its dry if it still isn't in its original shape. Then, stretch it out gently and lay or hang to dry. It should be back in its shape. If not, repeat the steps next time you are washing the item, hopefully the correct way this time, and it should be back to its original shape and size. Do not wring or twist rayon when it's wet. Shake it gently, squeeze it lighting and smooth out the wrinkles using your hands. Use non-metal hangers for hanging rayon since wire hangers can create rust spots on the garment. Always read the care label of the rayon item to avoid shrinking it. It is best to wash it by hand. As long as you never iron rayon-acetate fabric directly, you can safely press this semi-synthetic fabric safely.